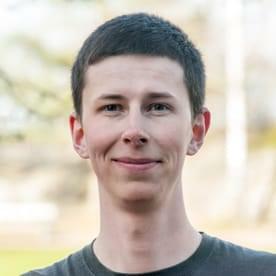 My name is Martin Váňa and I am a software engineer and a postgraduate student at the University of West Bohemia in Pilsen (Czech Republic). My research subject is Cross-lingual Incremental News Clustering. Currently, I am working as a software engineer at Tipsport. My job is to design, maintain, and document REST API. New challenges and things to learn are what I am constantly looking for. Mainly, I write programs in Java. I love to use C/C++ (not only) for competitive programming contests such as ACM-ICPC, Code Jam or Hacker Cup. For scientific calculations and Machine Learning, I use Python. Needless to say that I write automated tests and I use tools for static analysis, linters, code autoformaters, Docker, package managers, and last but not least, CI/CD pipelines. As a GNU/Linux user, I am familiar with Bash. I have encountered Matlab, Haskell, Rust, Lisp, Prolog, and Assembly. I love to write documentation using TeX/LaTeX or Markdown. I experiment with various algorithms, data structures, and programming approaches. I also contribute to the OpenSource community on Github. Travelling is my passion. 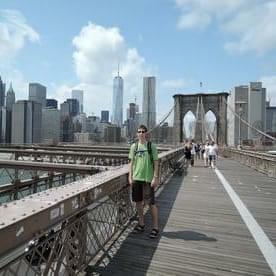 I love hiking and I also like to explore foreign cities and get to know different cultures. I play table tennis for TJ Sokol Holoubkov A team. I own a mountain bike and I enjoy riding in nature. During winter, I go skiing or ice skating. In my leisure time, I read books. My favourite genres are horror, fantasy, and sci-fi. Stephen Edwin King, John Ronald Reuel Tolkien, and last but not least, Douglas Noel Adams are my beloved authors. The unincorporated natural person doing business under the Trade Act registered in Rokycany, Czech Republic.